With Valentine’s Day fast approaching, a time when many express their affection for one another, The Motor Ombudsman, the automotive dispute resolution provider, is also encouraging consumers to share their feelings on any accredited businesses that they have used to either buy a new or used vehicle, or to have their car serviced or repaired. Using the Code of Practice survey tool on The Motor Ombudsman’s popular online Garage Finder (TheMotorOmbudsman.org/garage-finder), which lists over 7,500 accredited businesses across the UK, consumers simply need to search for the relevant profile of the independent garage or car dealership that they visited, and click on the yellow “Rate” button. If the business has committed to The Motor Ombudsman’s Chartered Trading Standards Institute (CTSI)-approved Motor Industry Codes of Practice for Service and Repair, as well as that for Vehicle Sales, individuals will just need to select the relevant questionnaire to complete. Following any ad hoc or routine maintenance to their car, motorists can score a business out of 10 on different aspects, including the booking-in of their vehicle, the clarity of the information provided, the standard of work and service delivered, as well as the likelihood to recommend them to friends or family. 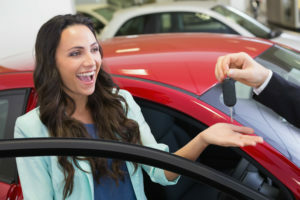 For those who have completed a new or used car purchase, individuals can rate the retailer on its product knowledge, the handover experience, and the delivery and condition of the vehicle, amongst other criteria. Once a business has received five or more surveys, an aggregate star rating will then be displayed on their profile, alongside the written feedback received from each customer, if they have chosen for it to be made public, in order to help fellow motorists make educated purchasing decisions. In return for taking the time to complete their review of the business, consumers also have the option to enter The Motor Ombudsman’s quarterly prize draw to win £500 in Lifestyle Vouchers which can be spent in many of the UK’s high street retailers.